UR from Leipzig play psychedelic Doom and Post Metal. Their music is as massive as the aurochs and as dark and arcane as the demon. 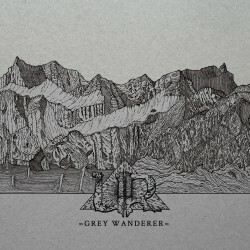 Grey Wanderer is UR's sophomore album and will be available as CD, LP and digitally via Droneburg Records and follows up their critically acclaimed self titled debut album (2013).